Whether maintaining a blog or a beloved long-running website, you will have likely run into problems with accidentally using copyrighted images. It’s easy enough to do, there’s so much misinformation around fair-usage from country-to-country that it’s easy to assume you’ll be safe, but still end up with a huge invoice from Getty Images. If you have fully paid-up access to an image provider or stock image library, then fantastic. But what if you’re just running a site with little-to-no revenue? Or… what if you’re sick of seeing the same old lame stock photos of millennials taking selfies? Images are a fantastic way to improve the readability of your posts and properly optimised images can also drive search traffic – you should definitely use them, even for the shortest articles. Luckily there are many places you can find good quality images, which you can use for completely free. As I discussed in my post on optimizing images for SEO, you can find unlicensed images directly on Google. 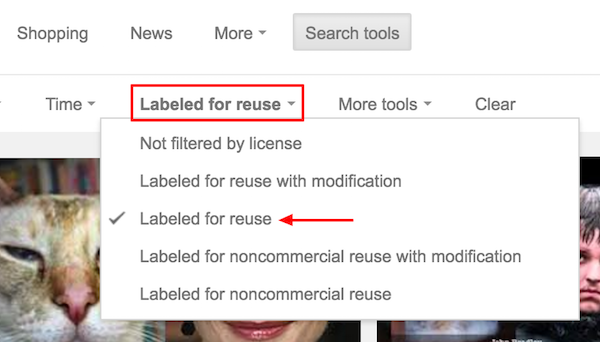 Then click on Search Tools, then Usage Rights and select Labeled for Reuse. It’s probably a good idea to then double-check that the image you’ve chosen is genuinely free to use. You can use a reverse image search like TinEye or ImageRaider to check any further usage rights. Flickr is a massive user-generated resource for photography, with many professionals and semi-professionals showcasing their work here. You can search all the images by usage rights, and use any that are labelled with a Creative Commons licence. You just have to make sure you give full credit and link to the Flickr profile of the person who took the photo. There are various licences available, so make sure you double-check the details. Some photographers will only agree to their images being used for non-commercial purposes for instance. Unsplash images are all copyright free, you just need to credit and link to the photographer. 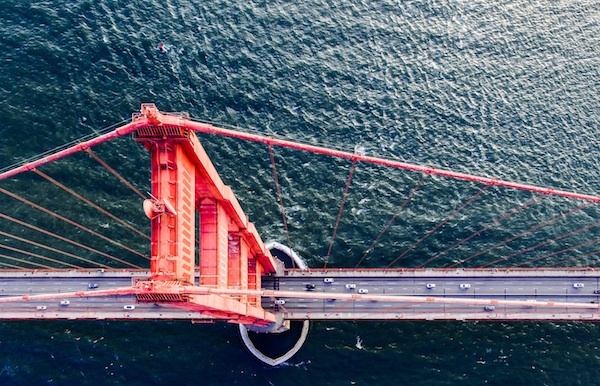 These are incredibly high-quality photos, so don’t be surprised if you see them crop up semi-regularly, but so far Unsplash seems to operate relatively under the radar. Despite the name, Morguefile is a lovely place to visit and search for creative commons photography. The quality is a bit more hit-and-miss on FreeImages.com, but the search is easy to use, with handy filter options, and the free-to-use and premium images are clearly separated. Again, the quality is hit and miss on OpenPhoto, but its search tool will often surface some gems. Alternatively, you could just create your own graphics, charts or infographics to make your posts more appealing. If you’re writing ‘how-to-guides’ you could take screenshots of anything on your computer screen. There’s a Chrome extension called Awesome Screenshot that allows you to take screenshots of your browser window (either partial or the whole web page) very easily, and you can annotate the image before downloading it. Or alternatively you can just press command+shift+4 on a Mac and use its own inbuilt screenshot tool.